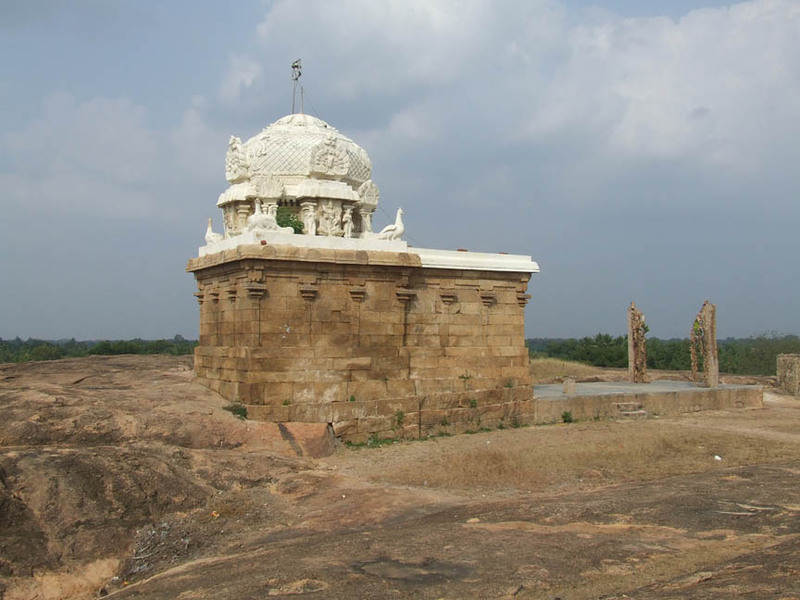 On the northern side of the outer prakara is a shrine for goddess Umayambigai facing south. 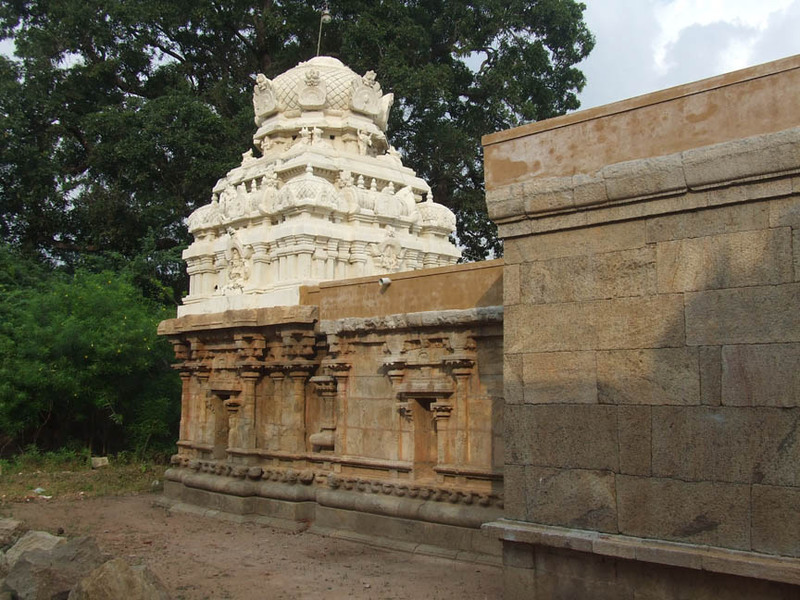 The shrine consists of a mukhamandapa, ardhamandapa and a sanctum. 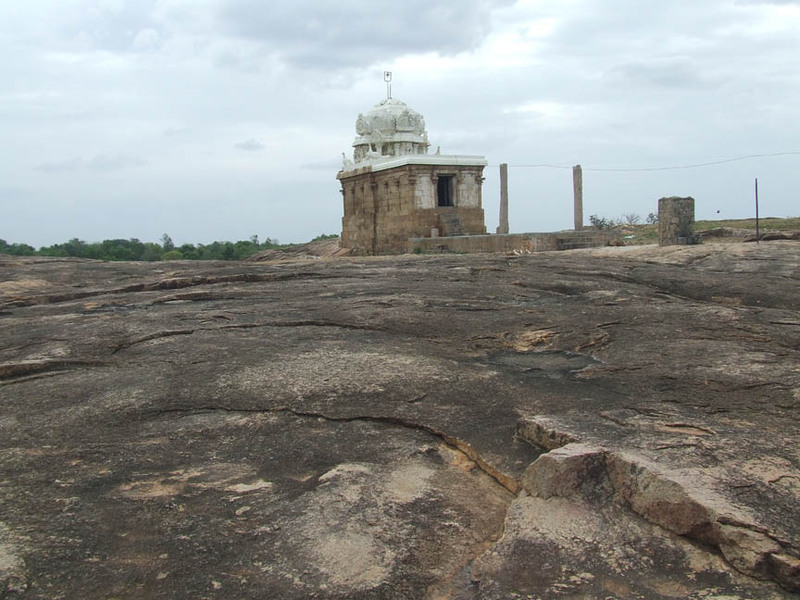 A tile-roofed structure also adjoins the mukhamandapa in the front. A newly constructed tower crowns the sanctum. Coming to the outer side of the shrine it has a basement of pratibandha type with the components of upoupana, upana as inverted padma, jagadi, rudra kumuda, prativari with projected makaras at the corners and uparikambu. Above the basement raises the wall. In between the adhistana and the wall is the vedika with kambu and vedikanda. Above the vedika is the pattika with urdhuva padma and uparikambu. This symmetry also extends for the outer wall of ardhamandapa. Above the vedika raises the wall. The entire vimana is parted as three segments called the patthis, which also extends to the upper tiers of the vimana. The corner patthis are called the karnapatthis, which are similar in size. In between the karnapatthis is the projected sala patthi, which is little bigger than the corner one. The sala bhadra hosts a niche whereas it is absent in the karnapatthis. In the sala bhadra in between the middle two pilasters houses a koshta in the center flanked by split pilasters. The sala koshta is depicted as a shrine but it is empty. The wall is adorned with six ornate pilasters with a square base and nagabanda in the corners. 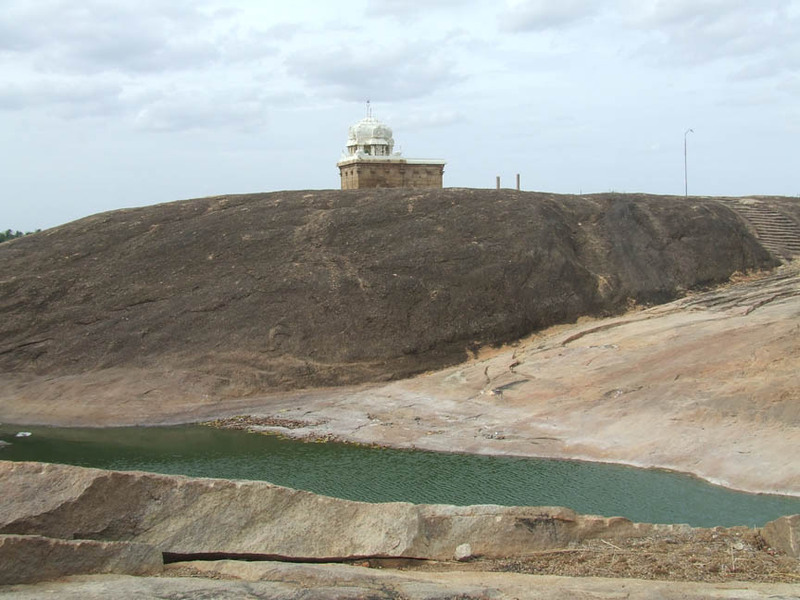 Above the square raises the vishnukanta shaft with the upper parts of kattu, kalasa, tadi, kudam, pali, palakha and veerakanda. But the split pilasters of the koshta are having a square base and a rudra shaft with the same upper features. The uttira, vajana and kapota with kudu arches form the roof parts. Above the roof is the bhumidesa, griva, shikara and stupis. 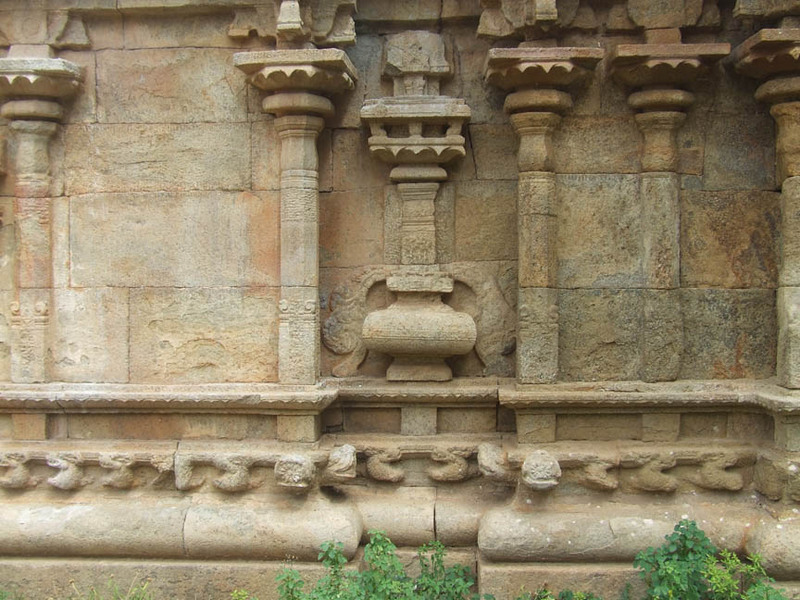 As for the pilasters the potikas are madalai in style with the spout like nanudal extending on sides. The madalais support the uttira above. Vajana, valabhi and kapota are the other roof parts. The valabhi is adorned with bhutavari and kapota with kuduarches. 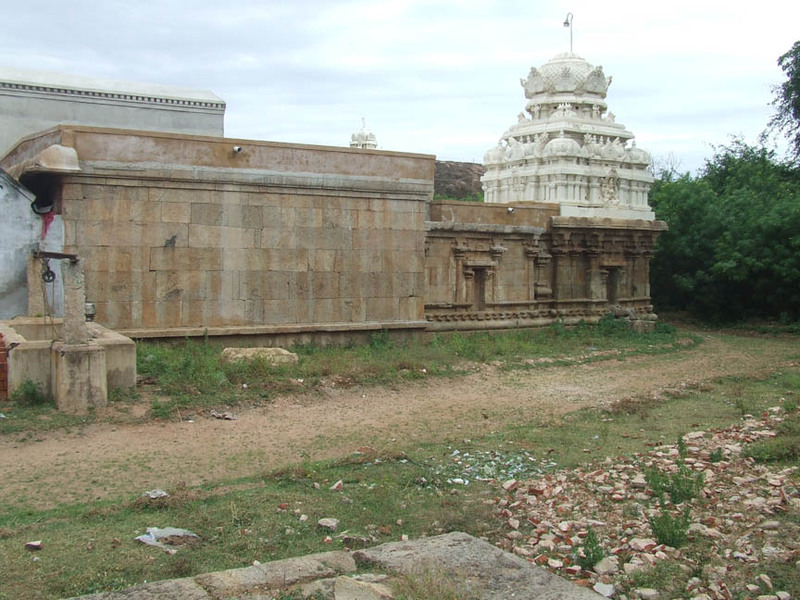 Above the kapota is the later constructed two tier vimana with dravida shikara. In between the sanctum and ardhamandapa is a recess where Kumbhapanjara is shown. Above the pot shaped kumbha raises the pilaster with usual upper parts. On either side of the kumbha are the festoons. The roof portion of kapota with kudu arches and bhumidesa is seen. Above the bhumidesa is the griva and shikara. On the eastern side of the sanctum wall a water outlet for sanctum water, a spout like extension is seen. Under the spout a square shaped stone cistern is kept to collect the water. Like the sanctum wall, four pilasters and a koshta in between the middle pilasters adorn the wall of ardhamandpa. The features of pilasters and koshta and the roof structures are same as like the sanctum. The interesting feature to note in this shrine is the bhutavari. Both male and female ganas are seen in the series. Most of them are musicians with string, blowing and percussion instruments. Some are also in dancing posture. Conch, drum, damaru are the instruments found. They are shown in ecstasy. Coming to the inner side of the shrine the sanctum is cubical in shape with .78 mts in east west and .77 mts in north south direction. Uttira, vajana and valabhi are the roof parts shown in the wall. The roof of the sanctum is hallowing. The sanctum houses goddess Umayambigai. The deity is also known as Manjalnayaki. The goddess is standing in sama on a circular pedestal with jatamakuta and back right hand holding lotus and left hand holding nilotpava. The front hands are in abhaya and varada. The makarakundalas adorns the elongated ears, a necklace of pointed droplets (arumbucharam) adorns the neck. The goddess is wearing only a lower garment of silk dress with knots flanking on the sides. The rectangular ardhamandapa is .78 mts in east west and 1.37 mts in north south direction. The front wall of the ardha mandapa has parts of basement components with split pilasters flanking the entrance. The split pilasters possess the same features of outer wall pilasters. The door frames are cut little inside the entrance. The jambs are decorated as lotus petals. The roof portion of uttira, vajana and valabhi with bhutavari are seen. 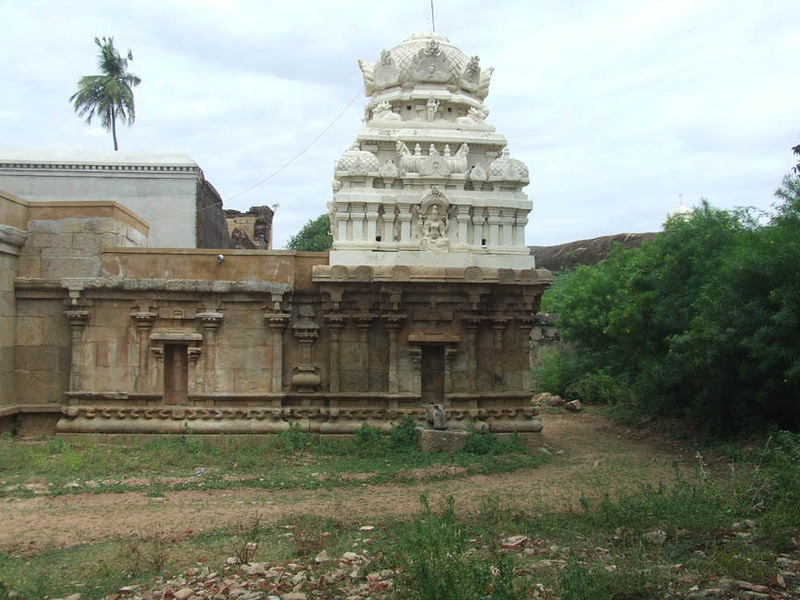 This shows that once the temple was simply with a sanctum and ardhamandapa to which the pillared mandapa is later added. The mukha mandapa is a pillared hall with structural wall enclosure on east and west. Two rows of three pillars in the middle are seen. Front two pillars are decorative with square base and nagabanda adorning the corners. Apart from this there are two other upper squares with Indrakattu in the middle. The squares are adorned with miniatures and medallions. The rest of the pillars are plain with three squares and two kattus in the middle. 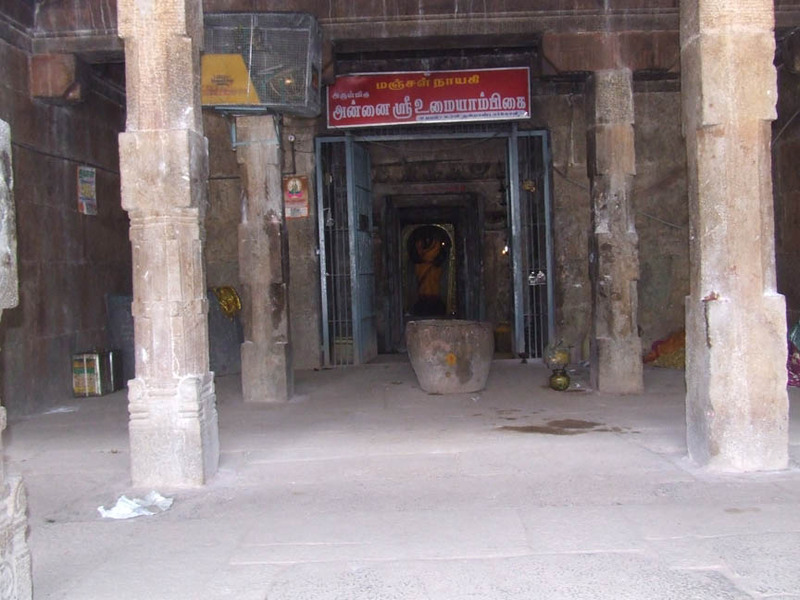 The potikas above the pillars are vettu and taranga in style. 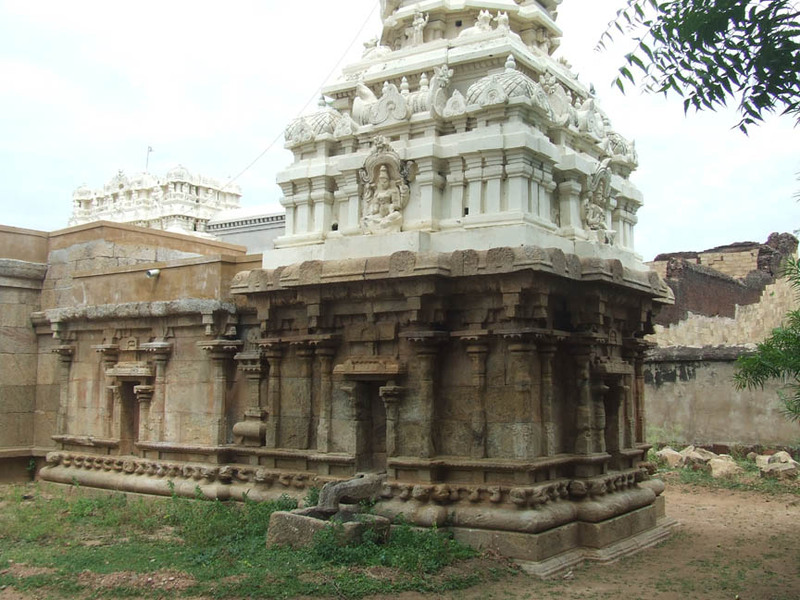 The potikas holds the uttira, vajana and valabhi joining the roof of the mandapa. The roof of the mandapa is covered with roof slabs. 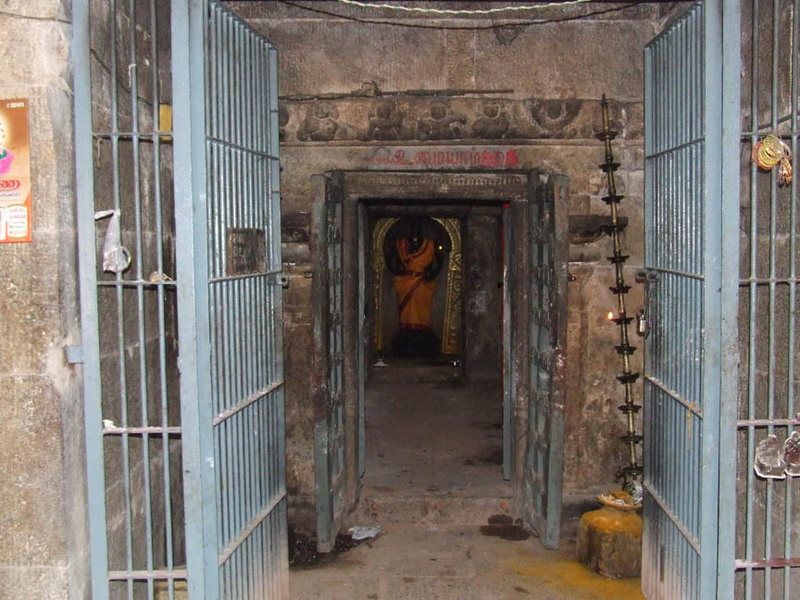 To the south west of the rock cut shrine in the apex of the hillock is a structural shrine for Lord Muruga. The shrine consists of a sanctum and mukhamandapa. Without proper basement components the structure raises as a wall cantoned by pilasters on all sides. The brahmakanta pilasters possess the usual upper parts. Above the pilasters is the vettu potika holding the uttira. And the other roof parts are the vajana valabhi and kapota with rough kudu arches. A newly constructed nagara tower crowns the sanctum. A flight of seven steps leads us to the mukhamandapa. The six faced Muruga is seated in suhasana on a peacock, karandamakuta with chenni adorns his heads, and svarnavaigaksham is seen around his chest. Flat necklace, makarakundalas, bangles, armlets, anklets are the other ornaments found. He is wearing a silk dress upto his ankle. The front hands are in abaya and varada, whereas the back hands carry the weapons like vajram, shield, sword, sula, sakthi etc. Thiruvasi is shown behind him. The peacock is standing on a pedestal with a snake on its bill. Dear readers, this expedition of outer prakara came to an end and in the fourth coming trips we will see the inner prakara, our real destination, a storehouse of interesting and mysteries features. Thank you, Bye.